It has begun folks. 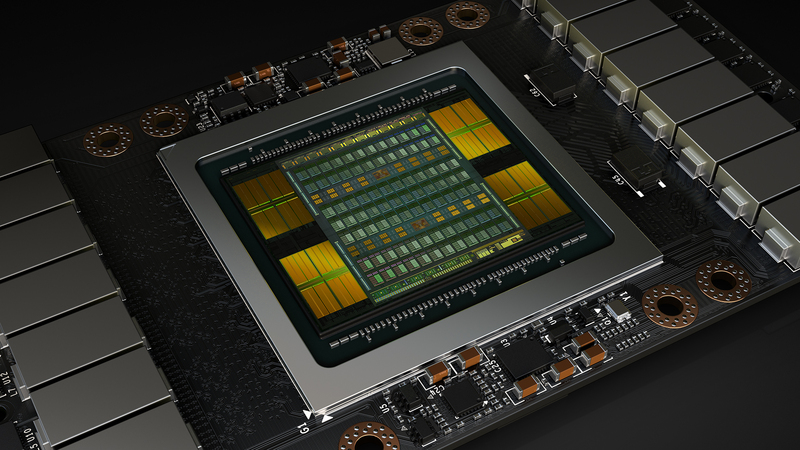 The leak season for NVIDIA’s upcoming Ampere architecture is officially open for business. Fresh from 3DCenter, a rumor which states that the next generation lineup for NVIDIA will be based not on Volta, but on the Ampere micro-architecture. Not only that, but if the rumor is to be believed then GP102 has already been transitioned to EOL (End of Life) and will be replaced with the GA series soon. Let me begin by saying that this news is a nothing but a rumor at this point – its not even a leak. There is a very good reason this is tagged as ‘rumor’ and not a leak or an exclusive so if unverified rumors aren’t your cup of tea, now would be the time to get off. For those that are still here, lets start with the GP102 chip. 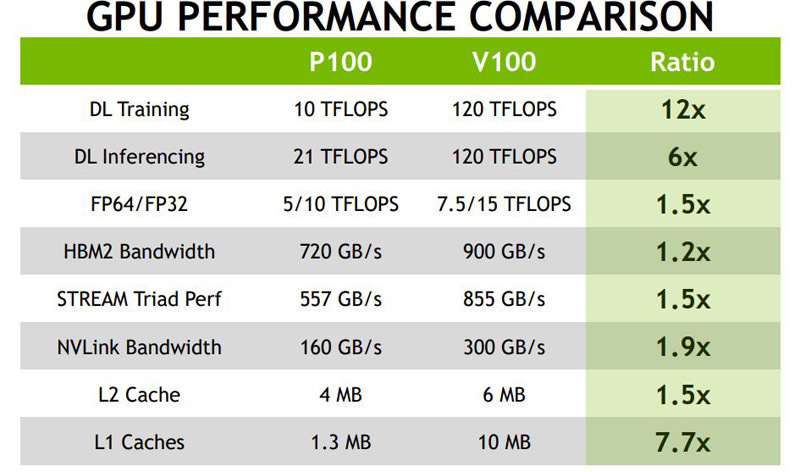 The GP102 Pascal chip is the flagship product for the commercial segment and according to the report it has already been shifted to EOL status which basically means that production on the GPUs have stopped and is no longer being made. According to the report, GP102 entered EOL status sometime in the beginning of November last year. If true, this would have interesting implications on the market dynamics. The GP102 powers the NVIDIA GeForce GTX 1080 Ti graphics card – the flagship product – and if its core has indeed entered EOL then its unlikely stock is going to last for long given the current market demand. In fact, its entirely possible that the GeForce 1080 Ti will go permanently out of stock in a few months assuming there’s any truth to this report. This is where the GA104 comes in. According to Beyond3D, the company has been preparing the Ampere architecture mainstream champion, the GA104, as the perfect replacement for high end Pascal and will be unveiling it in March with a launch later in April. Production for the Ampere based GA104 will start sometime this month according to this report and we should see initial market availability by April. This timeline is something that does fit to the clockwork that NVIDIA usually follows. The second quarter of 2018 would mark exactly 2 years since the GP104 was unveiled back in 2016. To keep its two-year cycle alive, the company has to upgrade to the next iteration during H1 2018. As far as nomenclature goes, there is no confirmation but if NVIDIA chooses to stick to its roots, then the new graphics cards will be called the GeForce GTX 2080 and GeForce GTX 2070. GDC and GTC are both being held in March and remain one of the likely candidates where the unveiling/launch of the NVIDIA Ampere based GeForce GTX 2080 and 2070 might happen. We should naturally see other chips being created on the platform such as the GA106, which will be for the mid range segment, GA107 / GA108 for the budget segment and of course the GA102 for the high end enthusiast segment which will be part of the GeForce GTX 2080 Ti (or whatever NVIDIA ends up calling them). Of course the next question on everyone’s mind is wheres Volta? Well, there are a couple of possible answers to that question. Its possible that Volta was made primarily for the HPC side of things and Ampere is the commercial side of things. That would make Ampere a highly gaming focused micro-architecture and probably incredibly optimized for gaming loads. Its also possible that Ampere is simply a Pascal refresh with better binning and an optimized architecture. That said, as far as nomenclature goes, Pascal to Ampere doesn’t seem to have any link while as Volta and Ampere do, so I am more inclined to believe (caution: opinion) that Volta and Ampere are basically two sides of the same platform with the latter being the gaming optimized micro-architecture. In any case, the Ampere based NVIDIA GeForce GTX 2070 and GTX 2080 graphics cards should certainly help revive some demand in the industry and will almost certainly run into severe shortage issues as miners pick up the initial batches. With most foundries now working at almost peak capacity to serve miners its interesting to see how the next sage of the gaming technology cycle pans out and how companies deal with the rights of the gamers that are being trodden upon by cyrptocurrency miners.